I understand how making resolutions is a big deal for many. 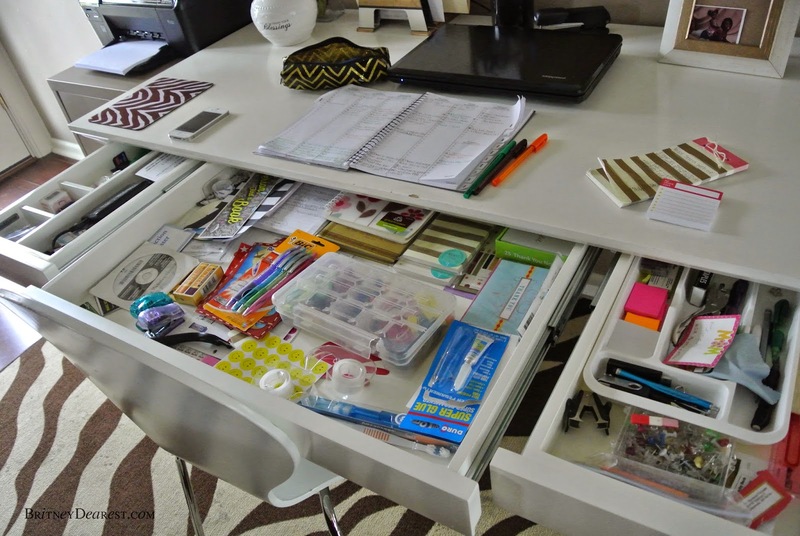 I have noticed many women making comments about becoming more organized and if you plan on becoming more organized, instead of waiting until the new year, you should start now :-) I am an organized person, however, I have an issue with maintaining the organization. I clear my desk once a week when it should be more like once everyday. 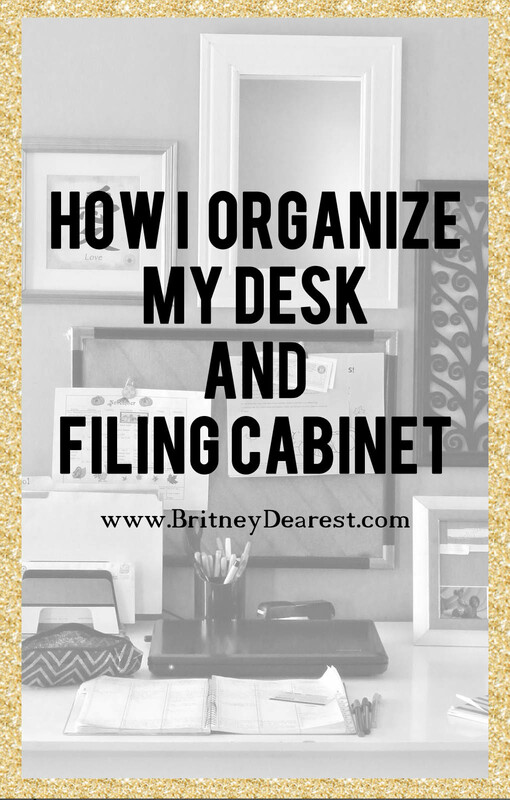 This month I will share how I organize my desk area and manage my planner. 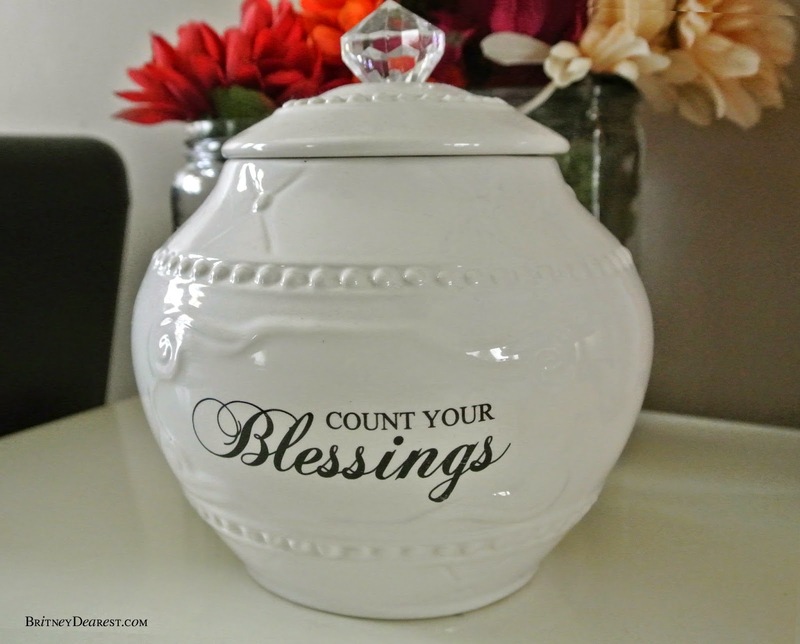 Hopefully, I can give you that extra "push" to get some order in your home life if you don't already have it. I keep a school file folder in the paper divider for things I need to look at weekly and for learning activities sent home by the teachers for the kids to practice daily. On the cork board are papers for my kids school. This filing cabinet started out blue. I purchased it at a thrift store for $6. A can of spray primer and 2 cans of spray paint go a long way. 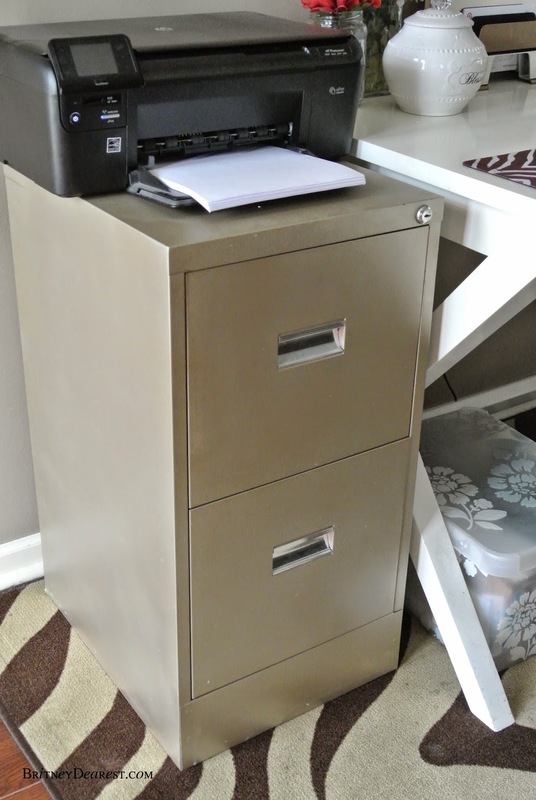 You can find the filing cabinet makeover in detail HERE. Pages I tear out of magazines. I recycle the rest of the mag. my glue gun, printer photo paper, envelopes, stationary items, and some other things. projects I'm working on, my paper cutter, washi tape, other things I don't want to put in the bigger craft bins in our pantry. 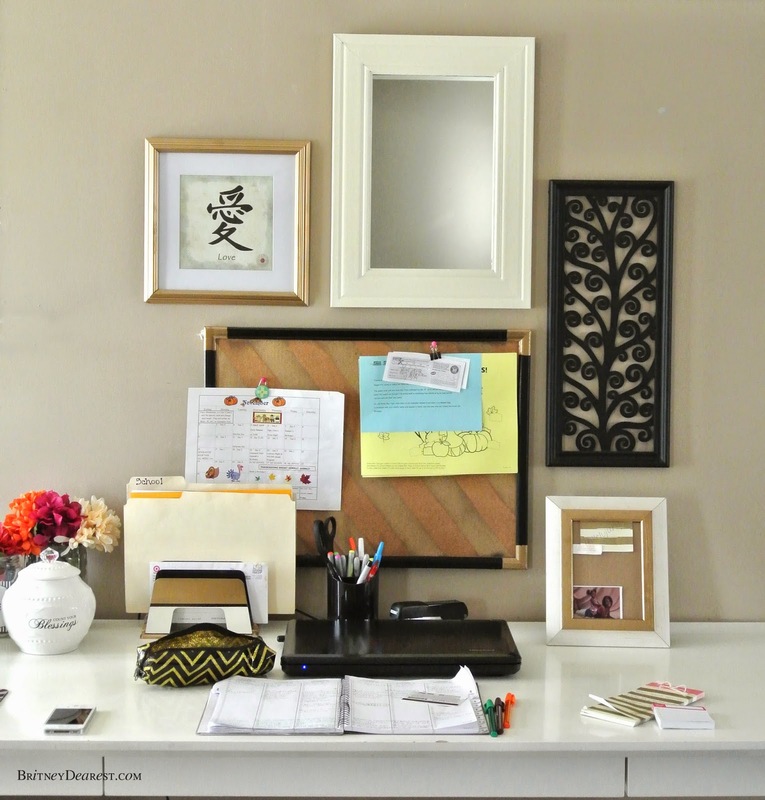 Feel free to share some of your office or desk organization tips and ideas!